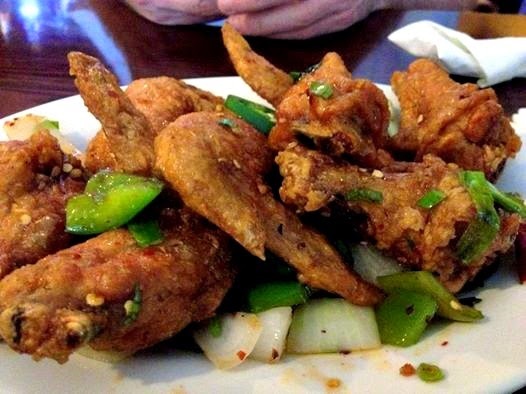 Simply Khmer is probably the most popular Cambodian restaurant in Lowell. The restaurant has been featured on Chronicle and Travel Channel's Bizarre foods featuring Andrew Zimmerman. Despite these TV appearances, the Mo and I have been going to the restaurant when it first opened a few years ago when it only occupied half of it's current space. 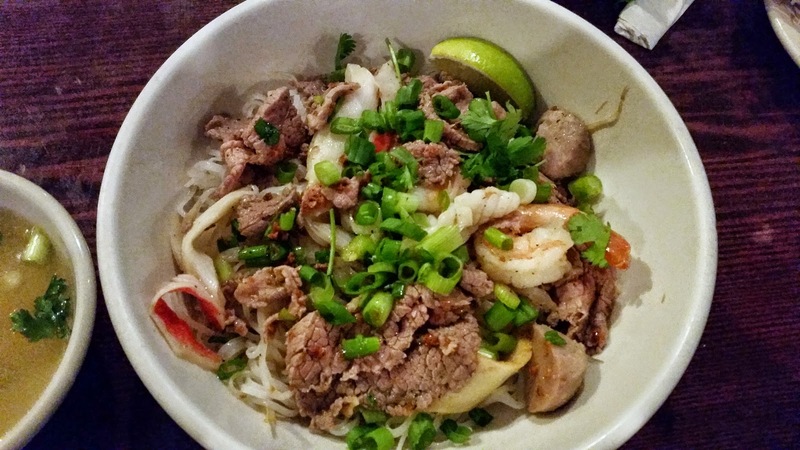 We first heard about this "new" place that offered kuy tiev rice noodle soups (Pho) for $4.95 and Cambodian rice porridge for $ 3.95 now $ 5.95 and $4.95 respectively. I get it....inflation and the cost of food went up. Coincidentally, I used to work as a server for Chantip, who was the previous owner of a downtown Lowell Thai restaurant, then called Southeast Asian. 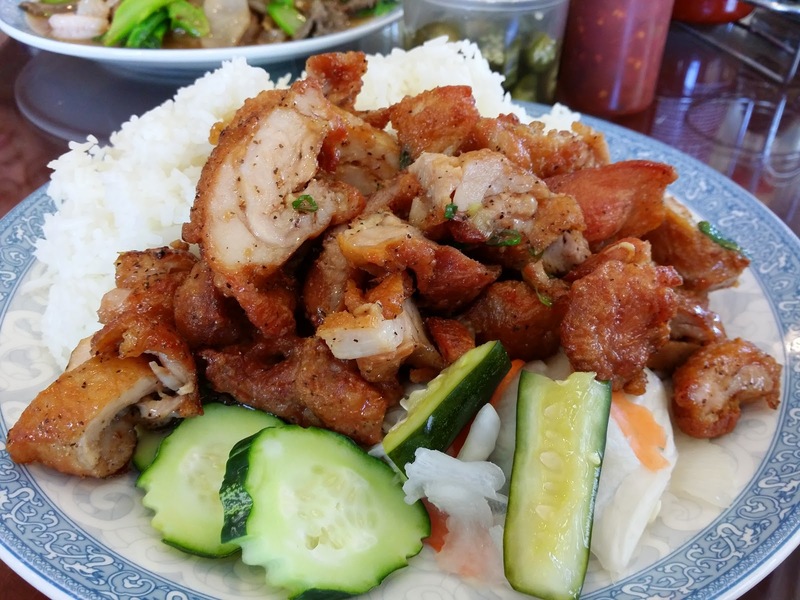 She now helps out at Simply Khmer with her decades of restaurant experience. 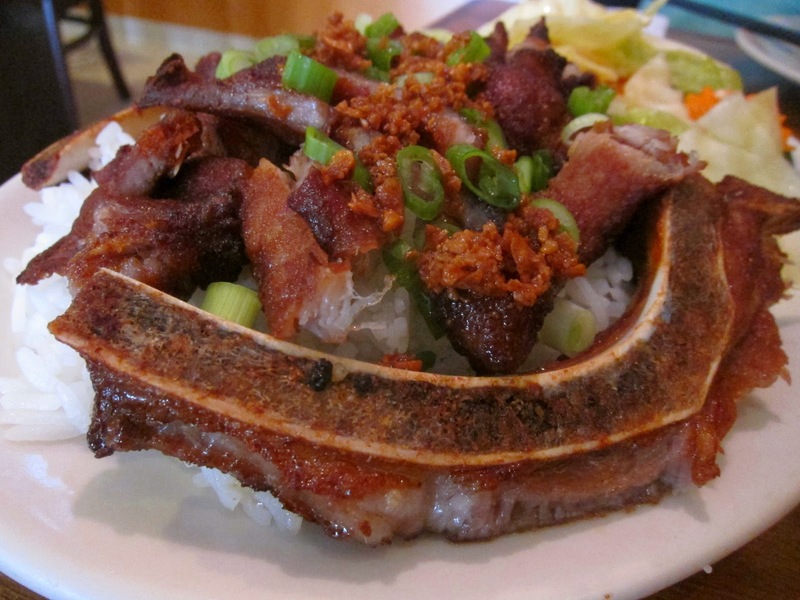 After Heng Lay, Simply Khmer is probably our 2nd go to Cambodian restaurant. It's located only a couple blocks away from our house and is probably a short 3-5 minute driving depending on the lights. It's also very common for the Mo's relatives to order from their catering menu for parties and celebrations. The restaurant is very clean and spacious. Seating is usually abundant. There are TV's mounted on the wall displaying the news or a Cambodian program. 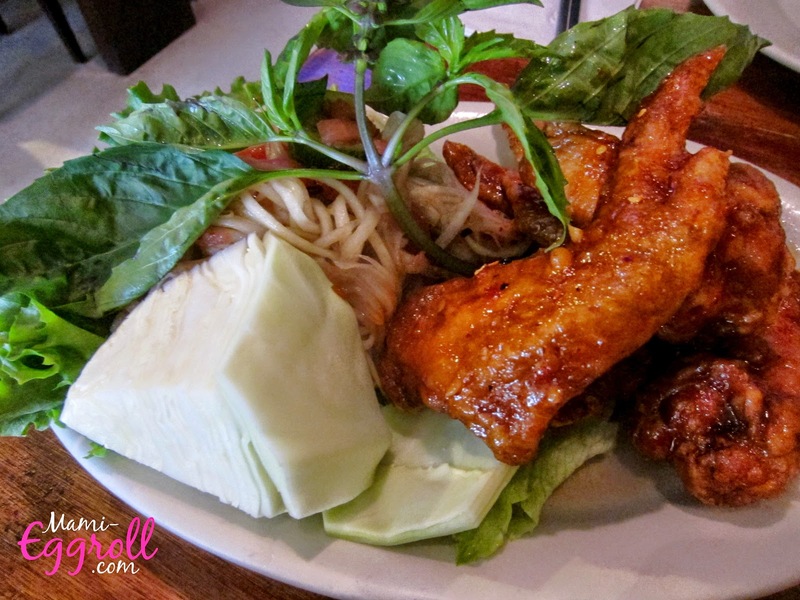 A popular choice at the Cambodian restaurant is the Triple Combo with papaya salad, wings and sticky rice. You can get plain wings or flavored wings. 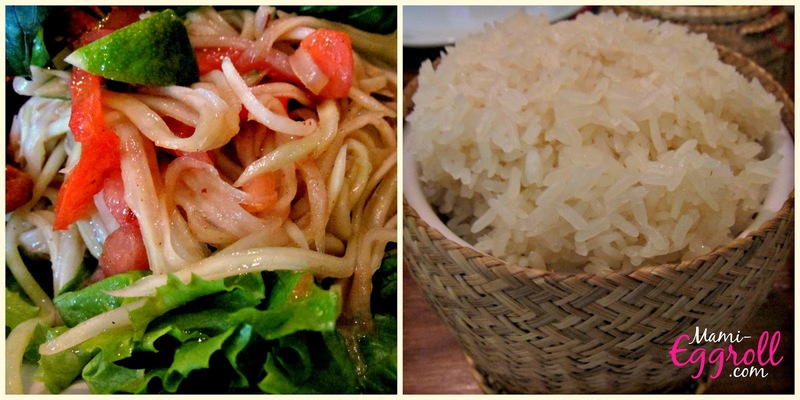 The spice in the papaya salad can be custom-ed to your preference. I think it's a great deal at $ 8.95 and can also serve as an entree for one person or a starter for several people. 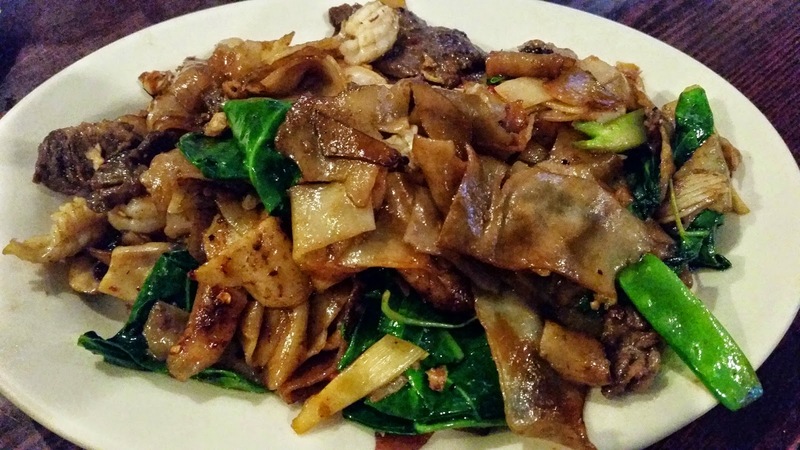 One of the most popular rural Cambodian dishes is Som la machew kroeung sach ko. The soup is made using the Cambodian "kroeung" paste made up of lemon grass, tumeric, garlic, kaffir lime leaves, etc. The soup usually is served with all the beef parts including the internal organs and stomach lining. The menu has many rice plates with stir frys and grilled meats. 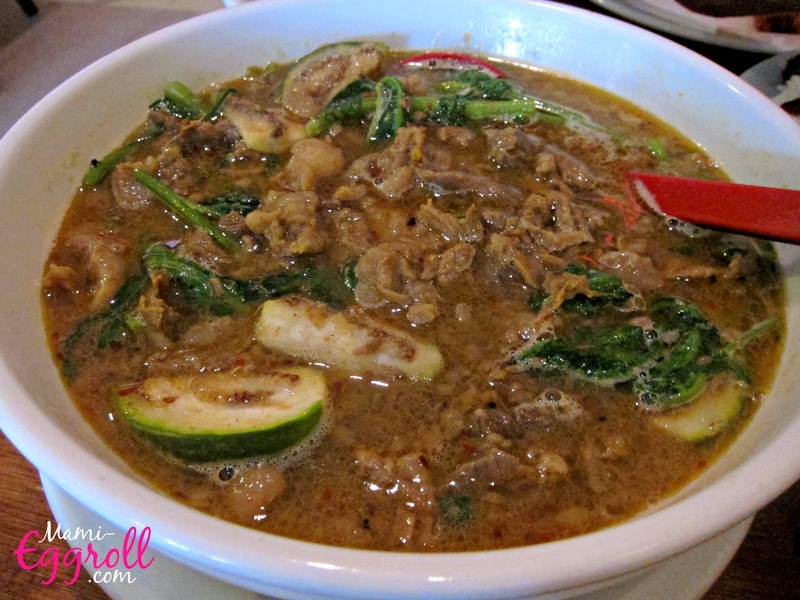 The Mo's favorite is the popular Cambodian beef loc lac dish. This time, we shared the grilled pork chops. I thought it was nice that they cut the pork in the kitchen to make it easier for the diner to eat. Typical in all Cambodian meals and restaurants, a cup of warm broth is served with the rice plates. 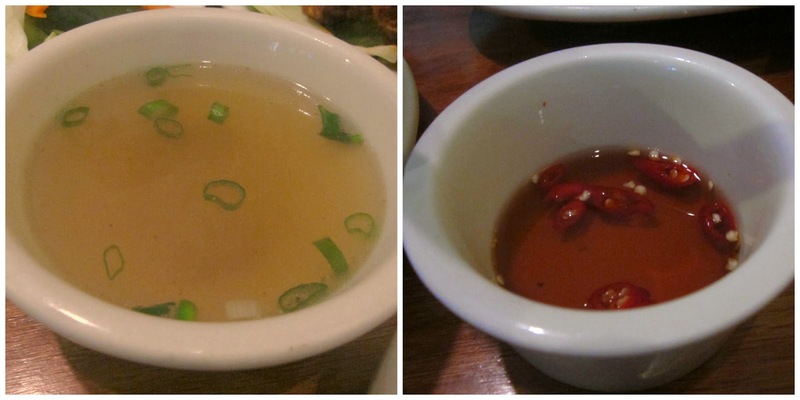 Fish sauce with sliced chili is also available upon request. The sauce is typically used to add a salty fish flavor to broths and soups. 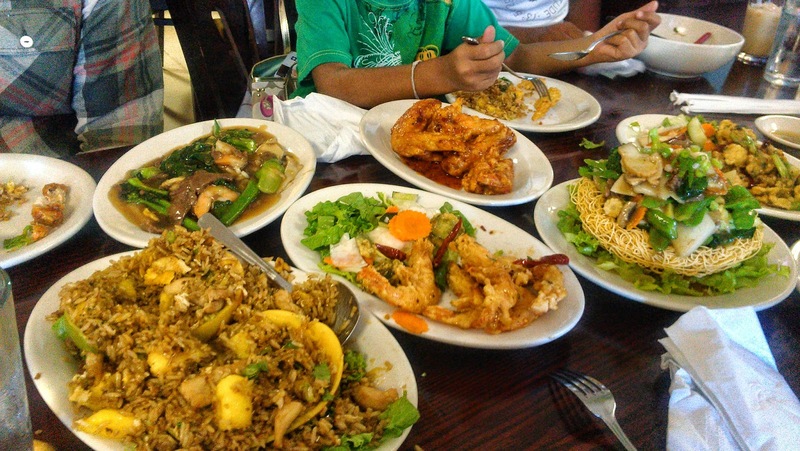 When we go in a group, we typically order a few dishes and eat it family style. Our eyes are always bigger than our stomach and we tend to over order. 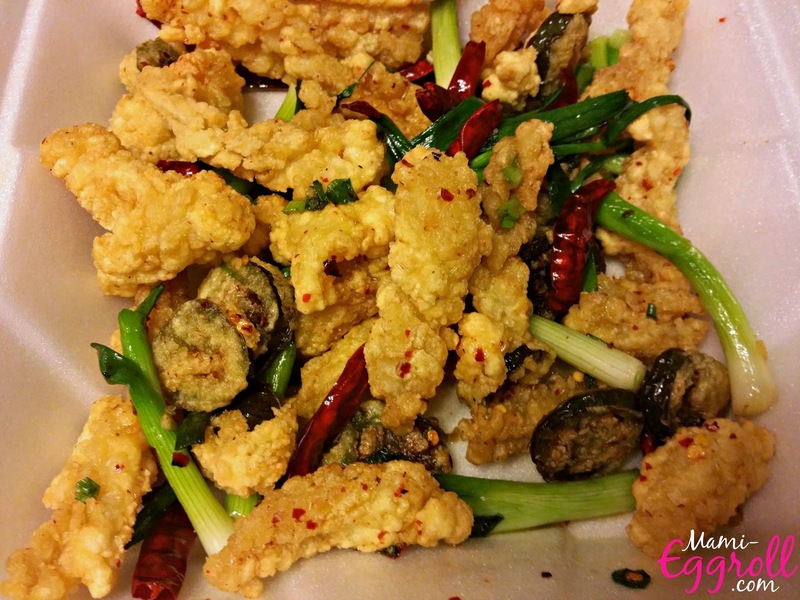 My family loves the wings, calamari and Mee Ka Thung wide rice noodle dishes. My sister loves their pineapple and mango fried rice. Although their mee Ka thung Chow foon wide rice noodles is delicious, I absolutely love their mee bumborng noodles. 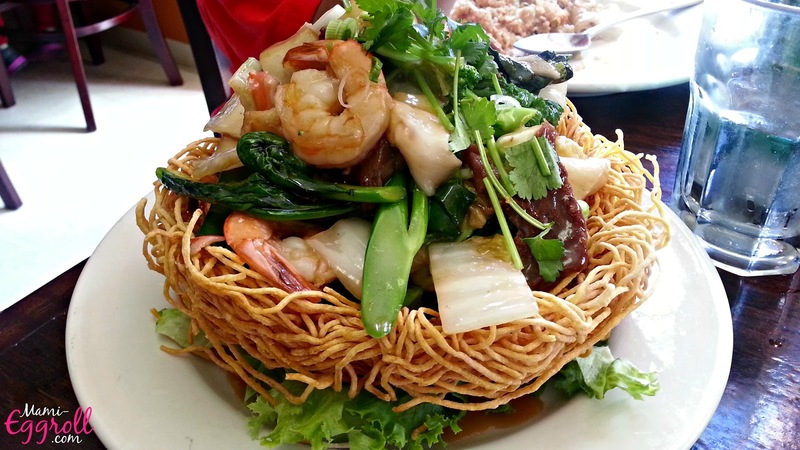 The yellow noodles are deep fried to shape like a bird's nest or basket then is topped with a seafood or meat stir fry. The thick gravy softens the noodles and creates a great texture. 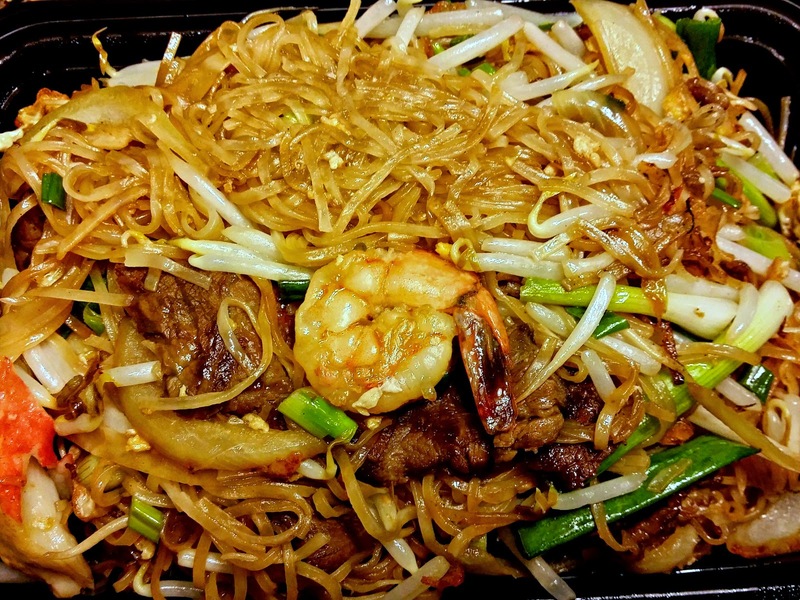 It is very similar to Chinese's pan fried noodles. 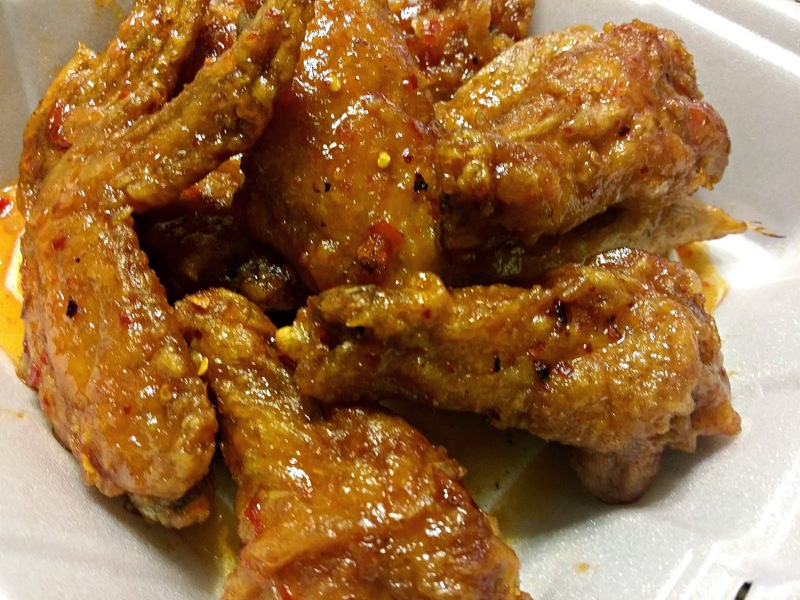 The crowd generally prefers the popular hot wings but I actually prefer the Angkor wings which is also deep fried but tossed with garlic and peppers in lieu of the sweet chili sauce. The Angkor Shrimp which is prepared the same way is also wonderful. When I am lazy, we order quite a bit of takeout from the popular establishment. 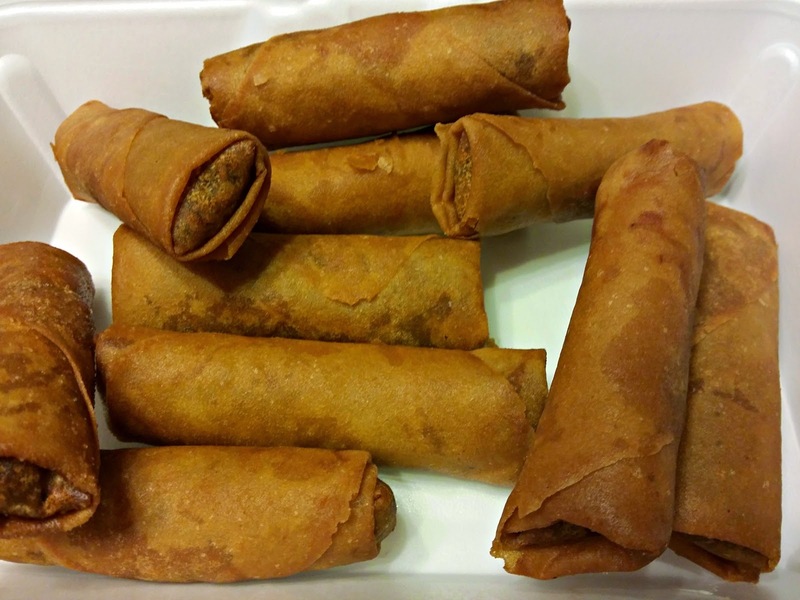 Our favorite dishes for take out are eggrolls, pad thai (Mee Cha), fried spicy calamari and the famous Hot Wings.